Sophora chrysophylla is a large shrub or medium sized tree up to 50 feet tall. The branches are golden brown with ridges running along them. Each leaf consists of 6 to 10 pairs of oval leaflets. The light green leaflets range in size from 3/8 to 2 inches long and 1/4 to 1 inch wide. 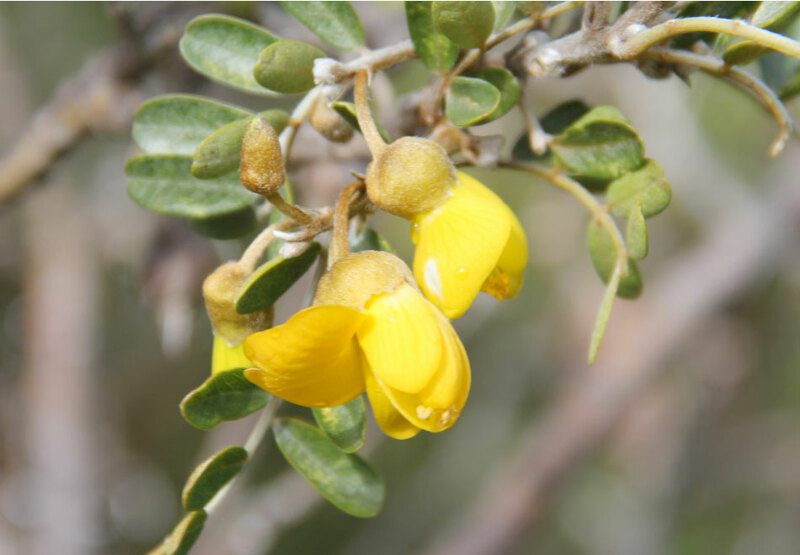 Sophora chrysophylla is an endemic species found scattered throughout dry shrubland and dry to moist forests; it is also occasionally found in wet forests. It is the most common plant in the subalpine areas of East Maui and the island of Hawai’i. It grows at elevations ranging from 1,400 to over 10,000 feet. It is found on all the main Hawaiian islands except Ni’ihau and Kaho’olawe.